Whisk curd, salt, pepper powder, mint powder, chaat masala well. 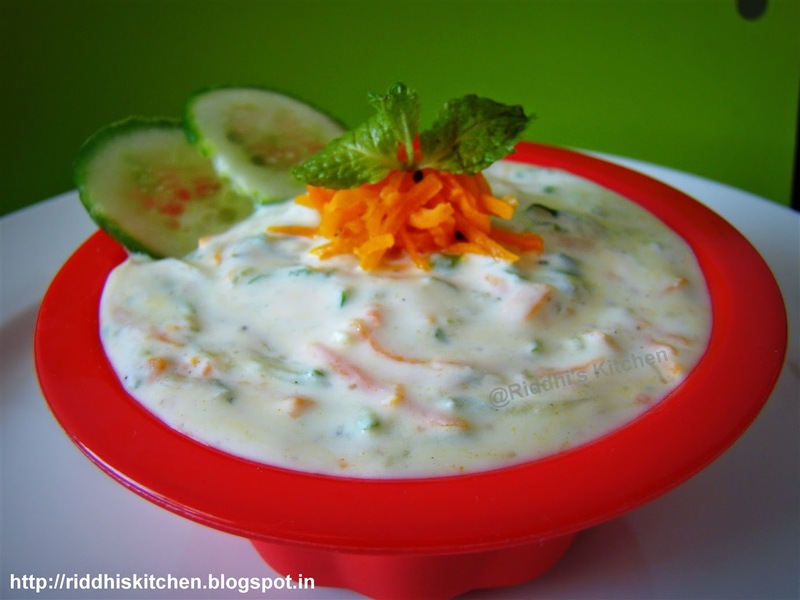 Add grated cucumbers, carrots, mix well. Heat oil in tadka pan, add mustard seeds, and let them splutter. Add green chilly, curry leaves and hing, mix well. Pour this tadka over curd mixture. Mix well. Garnish with mint spring, cucumber slices and serve it. You can also serve chilled. Good for summer.... and ll the ingredients are healthy. Yes its very healthy though yummy.